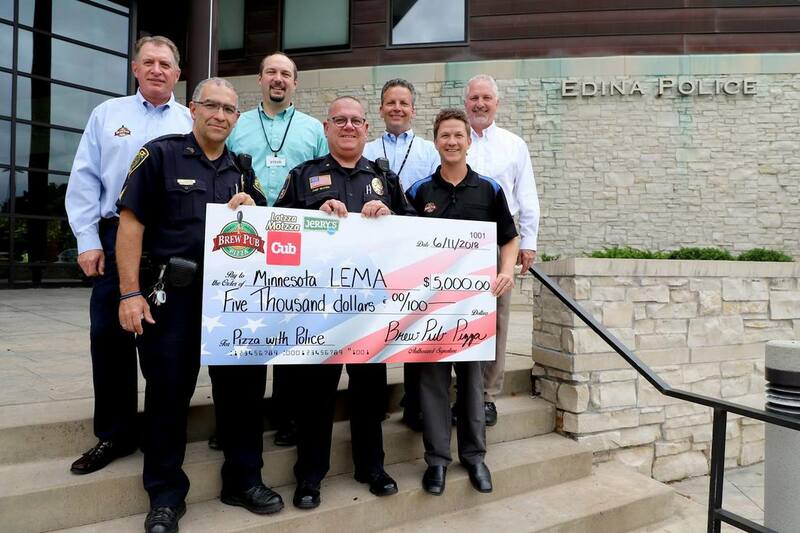 BERNATELLO’S PIZZA DONATES $5,000 TO LEMA ON 6-11-18. THANKS MATT SELVIG AND TEAM-YOU ROCK! The LEMA Board of Directors would like to recognize the many other businesses and organizations who continue to support LEMA. We appreciate your generous contributions of time, funding and resources. Our services are only made possible by your continued support. If you have any questions about becoming an supporter of the Minnesota Law Enforcement Memorial Association, please contact us at 763-542-8645 or visit our Donate page.